We’ve all done it, ducked into a bookstore to spend some time before the movie starts, or to wait for a friend. On my last foray into a Barnes & Noble, I perused a sale table and came away with a hardback for $5.99 by an unknown author to me, Alex Grecian. The book jacket spoke to me, the summary of the book worked, I love a mystery. The only thing I didn’t like was the unnecessary black marker swiped across the bottom white pages. I was offended for Grecian that his work was given this smudge. I read The Black Country in two days, hardly able to put it down, which lead to a google search…what have I discovered? It turns out that in May 2012 Grecian’s debut novel The Yard was released by G. P. Putnam’s Sons. The setting is 19th century Scotland Yard. 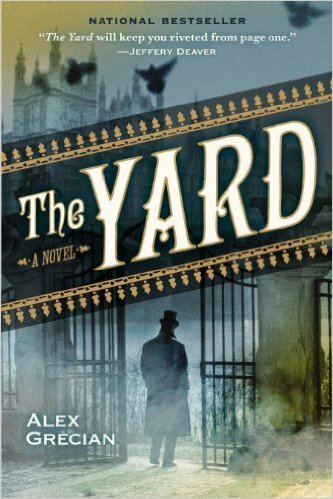 The Yard is the first in the Murder Squad Series. 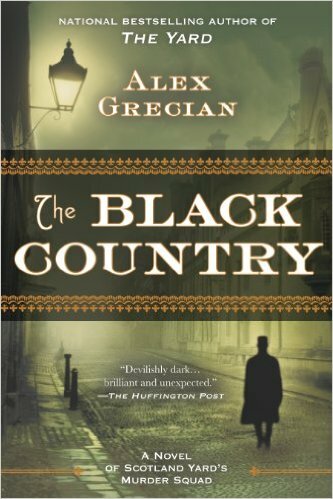 The second novel in the series, The Black Country, was released in May 2013 and the third, The Devil’s Workshop in May 2014. I love a find like this. The Black Country stands alone, nothing lost because I didn’t begin the series with #1, which I much prefer to do, of course. Bargain or not, mystery or not, the book MUST be well written to make my blog category, A Writers Writer. After all, I have written about authors who set a high bar. Inspector Walter Day and Sergeant Nevil Hammersmith, from Scotland Yards new murder squad, are the lead characters in The Black Country. They are anything but stereotyped and are a winning combination. When a family goes missing in a coal-mining village, both men travel from London to help the local constable with the investigation. A page turner, a fresh approach to mystery writing, I recommend this author to you. Late last night, finishing the last page, turning out the light, I drifted off in that satisfied state of being when you have experienced fine writing and a good story. This entry was posted in A Writer's Writer and tagged Author Alex Grecian, Book Reviews, Novel-The Black Country, Novel-The Devil's Workshop, Novel-The Yard. Bookmark the permalink. Greening Of A Heart is available as an E-Book: Kindle, Nook, Sony, I-Books and more. Want to read a review before you buy? See Amazon reviews for reader opinions. Visit Stepheny Houghtlin's profile on Pinterest. Giving Books for Christmas – Don’t Forget You! Death of a Busybody – George Bellairs – WHO? Hallmark TV Movies – How Life is Supposed to Be!